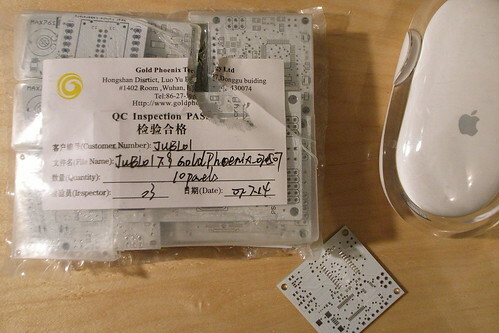 So, I’ve been pretty happy sending printed circuit boards off to this Gold Phoenix operation in China. It feels global to do my manufacturing offshore and its certainly a heck of a lot cheaper than doing it onshore. Frankly, my budget is my pocket money and every penny counts. I’ve been even happier that I can do this stuff all on my own and learn just how these things are made. I mean, it’s one of those things I wish they had maybe taught us back in electrical engineering school, but maybe they thought it was too vocational. Anyway, I really haven’t used a drop of what I learned from back then, honestly. Maybe they taught me how to think or whatever. Who knows. Anyway, I’ve been overwhelming myself with new projects because I can make my own boards, and being able to have multiple designs fit on one larger panel is really fueling the preposterous number of projects underway. I found out about Gold Phoenix through Nathan/Spark Fun‘s boardhouse batchpcb, which I’ve used in the past. 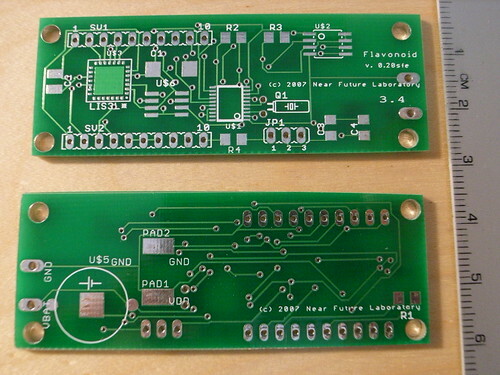 I needed more boards done quicker and in greater quantity than made sense with batchpcb. Nathan never hid the fact that they’re an aggregator for Gold Phoenix, producing amazing prices for very small quantities if you could wait 15 or so days to get them back. For the quantities I needed (couple dozen) it made more sense to go directly to Gold Phoenix. So, it’s the same drill to get your boards done, even easier in some regards, but much less hand-holding so you need to pack a reserve ‘chute the first time around. If you have a single design, you basically generate your Gerber‘s the same way you normally do. I even used the Spark Fun Electronics CAM file to generate the Gerber’s. SFE has a tutorial right here for using Eagle to generate Gerber’s. I’ll repeat a few things here. The Gerber‘s are basically (barely) human readable, but mostly machine readable, text files that describe what goes where on your PCB. For instance, from where to where a bit of copper should go, where a hole goes and how big its diameter. That sort of thing. So, it’s the physical description of your layout, one file for each layer of the board. I’ve only done two layer boards. That is, two layers of copper. Which means that I have six Gerber files plus a drill file. The Gerber’s are one each that describes the top and bottom copper, one each for the top and bottom solder mask, one each for the top and bottom silk screen. Finally, there’s this “NC drill file” used to describe the drilled holes (vias, mounting holes I poke through the board, any through-hole components, etc.) So, that’s six Gerber files and a drill file. You zip those up into a .zip file. Eagle spits these out when you run the CAM processor using the SFE-Special.cam file that Spark Fun Electronics graciously makes available. It basically does what you need to be done. Top and bottom silkscreen is a little tricky because it actually pulls the silkscreen from two special layers (_tsilk and _bsilk) that are created by another script (or “ULP” for user library program) also provided by Spark Fun. This other script is called silk_gen.ulp. What it does is make your silk screen drawings a bit “thicker” than the default thickness created by Eagle. It actually copies the geometry and patterns from the normal (by convention) layers that are used to draw paint (silk screened, but I doubt the process involves and actual silk screen nowadays) on the boards. Those layers, best as I can tell, are tPlace and bPlace (top and bottom placement marks for components.) If you run this ULP you’ll see all the tPlace and bPlace redrawn in a different color — and if you check your layers you’ll notice that two more appear in the “Display” pane of Eagle. What happened is that everything in tPlace and bPlace is drawn thicker in _tsilk and _bsilk. You’ll see any text thickened, etc. Evidently, this is necessary for the actual process of applying the silk screen paint to the board. While we’re talking about layer mishegoss, you’ll notice that there’s also the Dimension layer that looks like it’ll be drawn in paint, but that layer’s geometry does not get drawn as paint — I’m pretty sure it’s used to define the boundaries of the board as the board will be cut out of the panel. I’m not 100% sure how the process works, but empirically — based on runs I’ve done — this’ll allow you to shape the board into whatever shape you need. (See below, some of the boards have slightly rounded edges, and one even has a bit cut out where a battery can fit.) 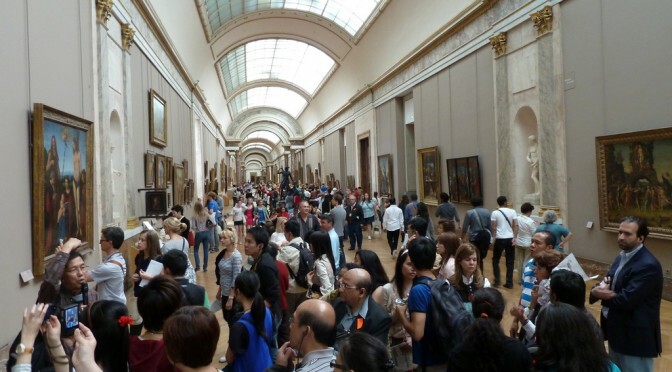 What gets drawn in paint and what doesn’t is determined largely by convention. These “silk” layers are handled by the CAM Processor as layers to be drawn in paint by putting the geometry in the top or bottom silk Gerber files. Whatever geometry you put in that file will get drawn as silk. If you mess up and put your copper geometry in there, they all of your traces and pads and such all will get drawn as paint, which is pretty cool, but something mostly people don’t want. Essentially you’re giving whatever hulking steampunk machine is on the other ed of this instructions on where to lay copper and where to lay paint and where to drill holes and where to cut PCB. Okay, so — you’re probably better off following Spark Fun’s tutorial, because that’s just a brief summary of the drill you’ll go through. I’m just trying to get to the point of seven Gerber files zipped up into a zip file. 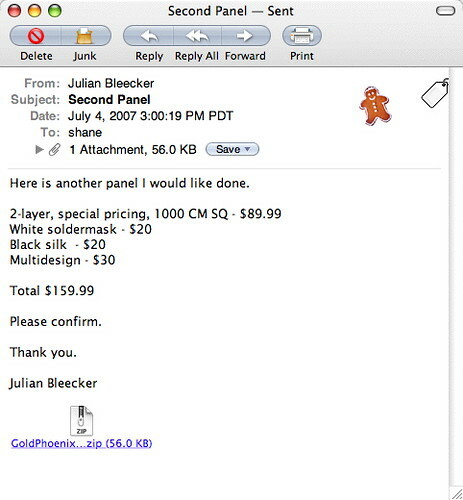 For the Gold Phoenix run, you just email that zip file to their guy Shane in Toronto with a description of what you want. I’ve been taking advantage of these summer specials they’ve been offering. It’s a menu of options such as how big a panel you want your parts cut from? What weight of copper? How thick should the boards be? What color soldermask? What’s your thinnest trace, etc. 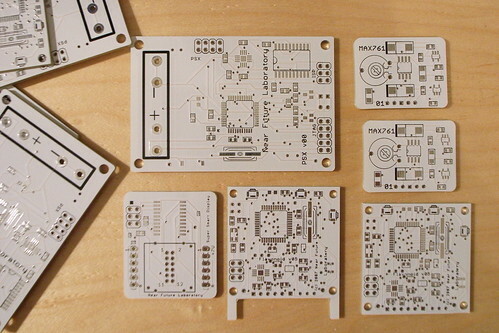 This board of boards was created as a new board design — just a board, not a board and schematic. This is the board design I’ll use to generate Gerbers and drill file for the final thing I send to Gold Phoenix. But, first you need to put all the individual solo-created boards together on this blank board. (I think this is basically what happens when people do what they call panelize or panelizing, but I might be wrong.) You’re basically going to create one board with lots of smaller boards on it. The outlines for each smaller board are what the Gold Phoenix people will use when they cut up the larger board into smaller pieces. They’ll also do the “step and repeat” process of filling up the larger panel with multiple instances of the one board that contains lots of little individual boards. This is like a three layer Russian Doll. 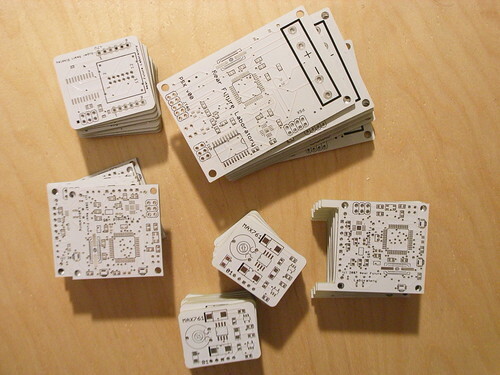 You have your individual boards for some little design projects you’re working on. Then you have this board that contains each of those little board designs, placed thusly so that there’s a little space between them and they don’t overlap and maybe even consume a rectangular shape, etc. Then there’s the “panel” which is the sheet of material that will become a big sold piece of lots of little designs. So, what Gold Phoenix ends up doing is taking this one board of boards and making it fit in 1000 square centimeters as many times as they can. This is why I get many copies of each board, 10 in fact of each board because my board of boards can fit 10 times in 1000 square centimeters because its just about 100 cm square (120 actually on my side, but, like Tod said, they must’ve tightened up my board of boards on their end.) They saved me a lot of trouble this way. Rather than me having to make a board of boards 1000 cm square, they do it for me based on my one board of boards template. I don’t think you can beat that for quality, quantity, time and price with any of the other four or five places I’ve tried. One place was $33 + $40 shipping and handling (scam) for one tiny board, no soldermask (yeech..) no silk, 5 day turn-around. Like..hello? 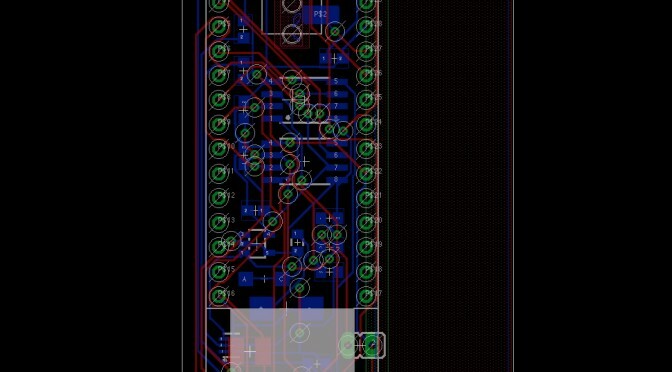 So, I’m at the point with the Flavonoid project that I need to start getting printed circuit boards made. (The printed circuit board includes an accelerometer, a real-time clock, touch sensor, and a bit of EEPROM memory, if you want to know.) A fair bit of the break was spent schooling up on Eagle, doing layouts, making mistakes and that sort of thing. (It’s remarkably full-featured for a free product and, despite a few quirks, does what it says it will do. Plenty of activity in the forums and help is quick to come when I’ve gotten in trouble. )As I closed in on a design I thought was close enough to gold to send off, I started poking around various forums to find out what operation might be suitable for small (1-10 piece) runs. The one great exception is Batch PCB, the operation started up by the Spark Fun guys. They’ll do single pieces for, like..$2.50 per square inch. In my limited experience, that’s a great deal. In exchange, you’ll have to wait a bit longer to get your boards back â€” I think they’ve worked something out with their guy in China so that the numbers work out to get that kind of pricing. The two places I’m trying are Batch PCB and PCB Fab Express. I picked PCB Fab Express because they had something they refer to as a special for prototypes, but it’s still pretty expensive (but less expensive than other places that’ll turn something around in under a week). I’m doing this so I know what my options are in the future. I can imagine times when waiting a couple of weeks is fine, and other times when I’d like to have something in a few days. All-in-all, this is the place to go if you can wait a couple of weeks for your parts. The PCBs you see above were sent in on December 28, and arrived on January 18. Considering generally delays during the holidays, and that Boulder (where those guys are) got socked in by a nasty blizzard, I’d say that’s satisfactory. 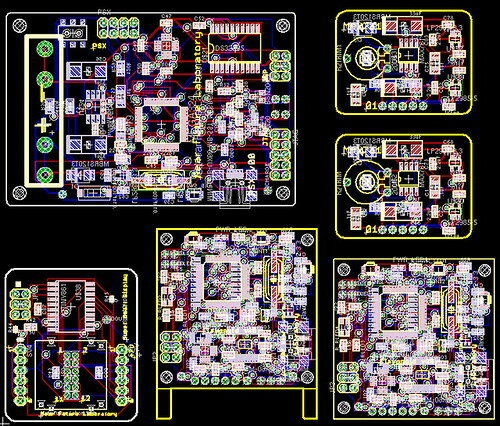 Total cost for four boards with express shipping was $49.92 Compare to $82.95 for PCB Fab Express, five boards, five days, super-saver shipping. If you’re in a rush or just hopped-up and heads-down in a project, I’d guess the extra $30 is nominal. Note that PCB Fab Express won’t silk screen the back of the board, but that’s not such a big deal in most situations, particularly for prototyping. Summary: BatchPCB.com, four boards, silk screen on both sides, 14 business days turn-around, with a blizzard interfering, $49.92 with shipping. 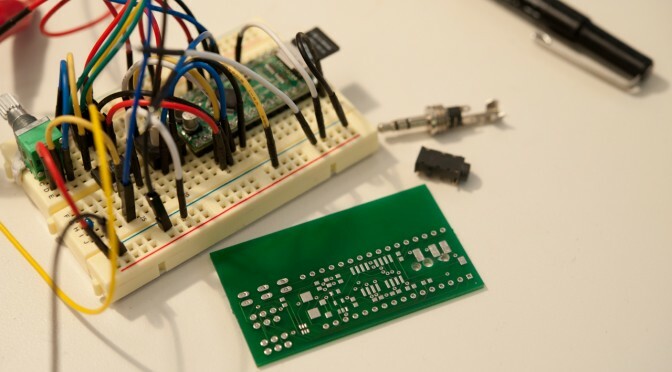 Note that BatchPCB turn-arounds get shorter the more work they do as a company. Presumably, they are able to fill panels sooner and ship whatever minimums they need to their guy in China. Now (January 19) they say they’ll panelize a board in four days, so the turn-around is likely closer to 10 days or thereabouts. That’s fantastic. I also found BatchPCB to be much more “user-friendly”, as is generally the way with the Spark Fun team. (Their tutorials are excellent, particularly the one on does and don’ts for prototyping, all based on real experiences. 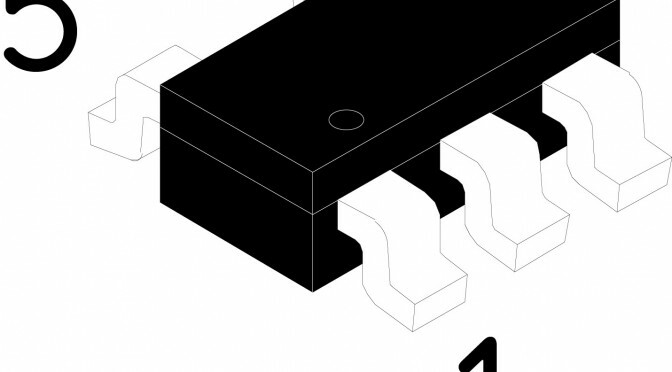 Don’t forget their surface mount technology tutorials, too, found here. I had two situations where I needed to cancel an order I had submitted. Fortunately, it hadn’t gone too far into the cycle and they could delete the order. Their DRC bot is also quick and provides some useful graphics to give you a sanity check about what precisely you’re submitting. I don’t have all the parts yet, but just a cursory look-see and I thought of a few notes to think about for any redesign. 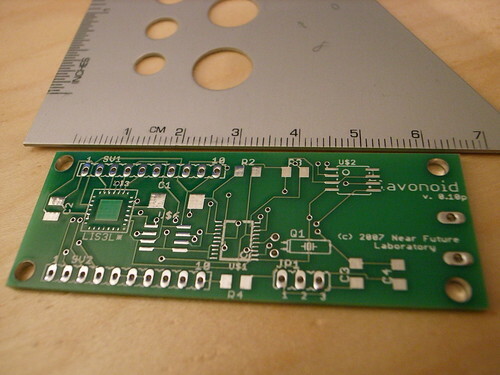 PCB Prototype Verso from PCB Fab Express. Notice there’s no silkscreen on the bottom. 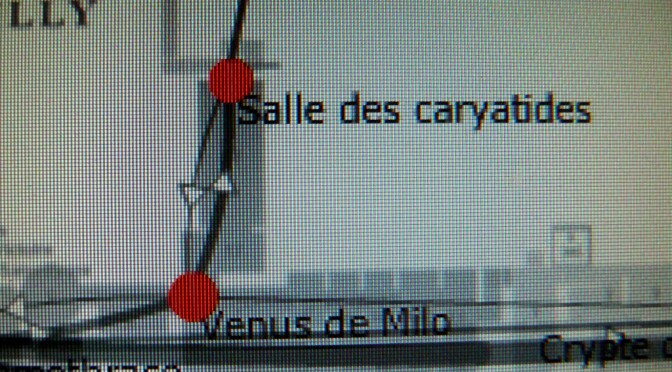 * First, some of the vias are unnervingly close to the pins of the DS1306. I’ll look for that in the future and put in a via keepout or something. * Second, the crystal for the RTC I pulled from the crystal library. The pads for the package aren’t much bigger than a via, and there’s not much of a pad to speak of on the thru-hole. It might be just as well to find an SMT pad for it, or perhaps there’s a package in the crystal library for a surface-mount device. * The mounting pin for the coin cell battery holder on the back is a bit close to the VBAT pad I put back there. I’m not sure if that mounting pin is connected to anything electrical in the coin cell holder, but I need to check just to be sure. Summary: Quick turn-around. No hand-holding despite getting a sales call and promise of an email once I submitted. $82.59 with shipping for 5 boards, $16.52 per board, $6.19 per square inch. They took normal Gerber’s RS274X. I used the CAM processor user language program that Spark Fun provides for Eagle in their tutorial. Conclusion It’s hard for me to think why I would not use BatchPCB unless I really needed boards quicker than two weeks. If I need something in under a week, I’d go with PCB Fab Express. And, if I really am in some kind of project where I need dozens of printed circuit boards, I’d almost certainly go with BatchPCB — it’s just the best value. If anyone has any suggestions of other board houses, please drop a line. Update! I’ve been using Gold Phoenix when I need more boards as soon as possible — under a week. I haven’t completely run the numbers, but it’s pretty clear that for more than 10 boards or so, they’re the place to go to. If I need just singles of boards and can wait, I’ll use BatchPCB. I have a review of Gold Phoenix here. 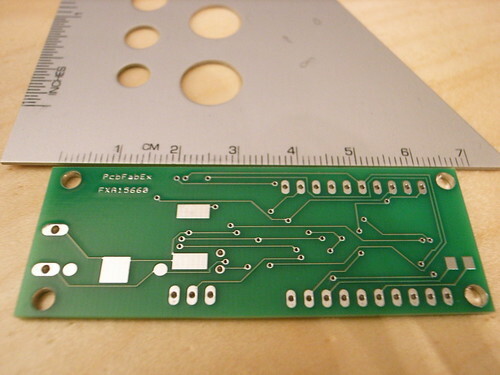 For $89 (special summer deal pricing) you can get 1000 sq centimeters of PCB. When I put six designs on this size, I got 10 of each back. That’s 60 total boards. I paid extra to have some special features like white soldermask and black silkscreen and a $30 tax for multiple designs. Still, it seems like a great deal. Turn-around was under about 12 days.